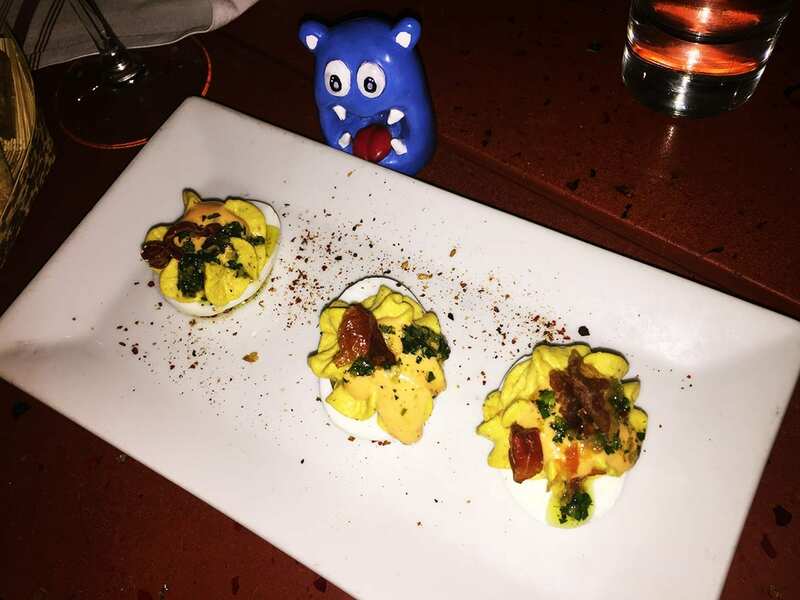 We are flipping out, these must be the best in town Vadouvin Deviled Eggs from Dino’s Grotto an amazing Italian restaurant with Jewish spices on U Street/Shaw in Washington DC. Pure mastery and uniqueness make this by far one of the most amazing dishes we’ve ever had. A dish so good that it almost broke our NOM score completely. We were very excited to finally make our way to Dino’s new location in DC. It’s Friday night so we started off with a few strong drinks and couldn’t pass up a few appetizers especially after reading this description. It’s the crispy prosciutto with anchovies!!! First, bite in and it’s just like someone just smacked you around with some bold flavors and you liked it! Liked to so much that you asked for more. Plus all that creamy egg goodness combined with Sriracha aioli and salsa verde. Ah just thinking about this dish again makes my mouth water. Price wise it’s not overly too expensive for just $8, but you know it was so good that we would totally pay double that. While anchovies might not be for everyone, we sure love this addition and think its worth a try, you might just fall in love with it. 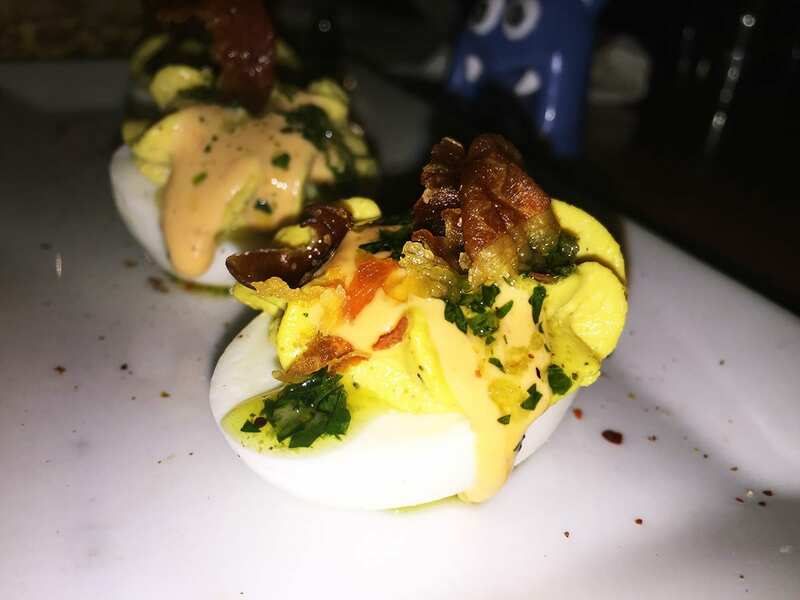 We are already salivating over when we can come back for more of this and any other good dishes. 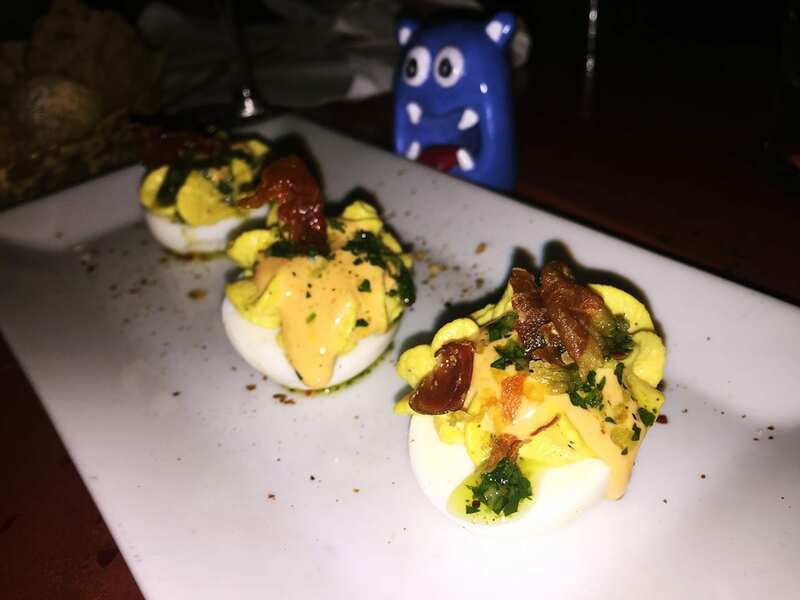 What are some of your favorite Deviled Eggs?